Do You Feed the Birds in Winter? View Poll Results: Do you feed the birds in Winter? 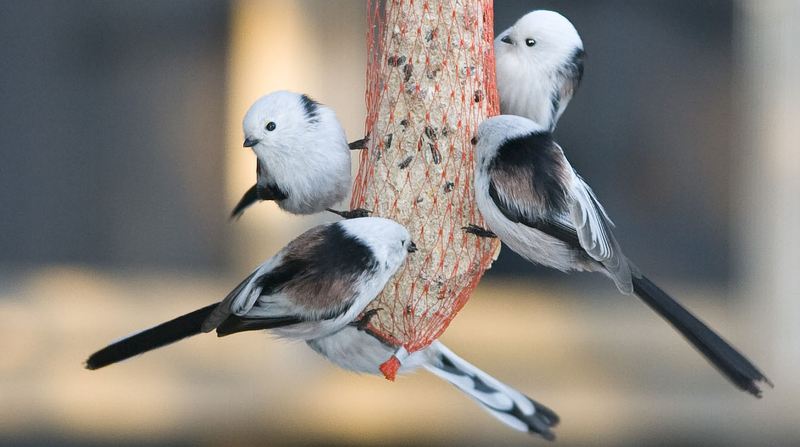 Thread: Do You Feed the Birds in Winter? Yes. Me or my mom. We have several bird feeder/bird tables. Different birds prefer different foods. As living very closely to forests...we are able to see (time to time) bit rarer birds too. Lots of small birds brings predators as well. .... but we have set our bird feeders exactly so that small birds can get hide very easily. Our bird and small mammal feeding practice sometimes attracts predatory birds such as owls and sparrow hawks. Laws of nature. Good to keep in minds that natural wild life predators needs to eat too (dare I say .... ''rights'' for that?). But of course we don't want feed/help small birds at winters time so that they will heavily risks themselves (get caught) because of us. Yes. As Gareth already stated, we do feed birds and other little critters. I think the best time to feed them though is in the Spring when they have little ones to take care of. Not all in life is at it appears to be.